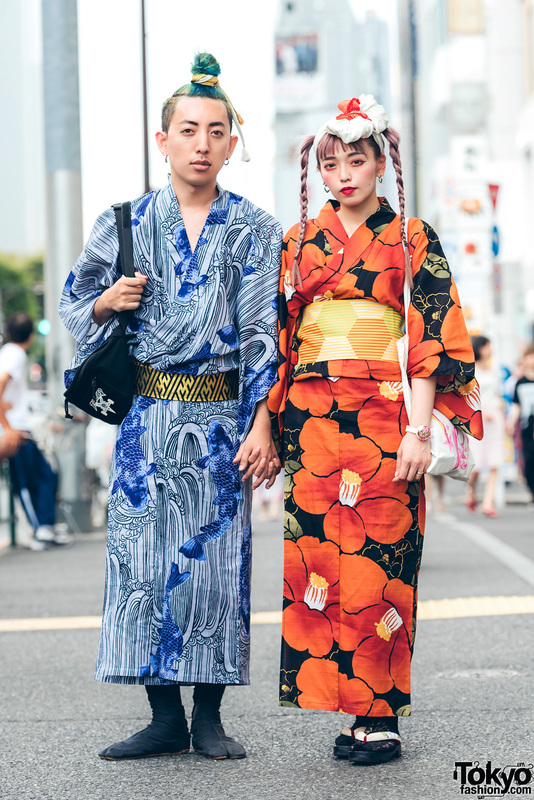 Harajuku duo wearing printed yukatas, tabi shoes, lace socks, geta sandals, canvas tote bag, belt bag, a head dress, and a watch. 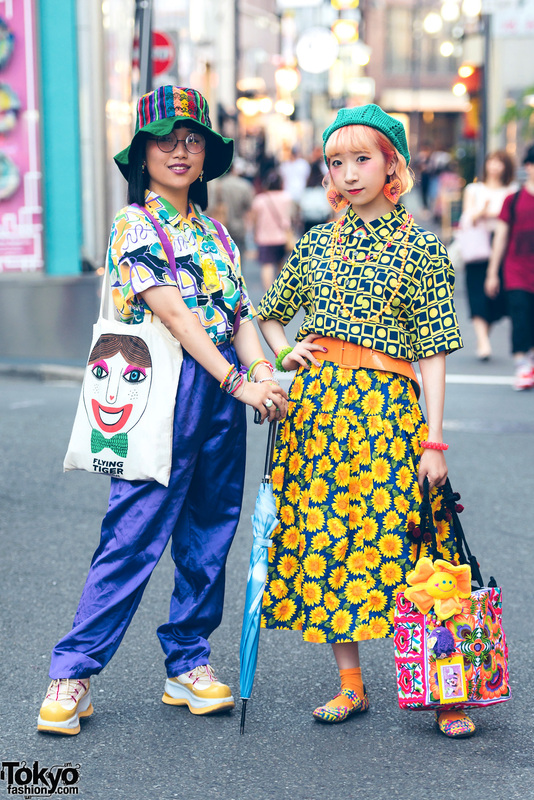 Harajuku girls wearing polka dot shirt & midi skirt, yellow sneakers, leopard print chain handbag, vintage printed dress, maroon boots and leather sling bag. Female Japanese guitarist in all black fashion with sweater, pleated skirt, platform boots, handbag, and silver jewelry. Harajuku girl in vintage band t-shirt, plaid skirt, black socks, platform shoes, a sling bag, lip piercings and a tattoo choker. Harajuku girls in all black fashion with jacket over t-shirt, skirt, platform creepers, and floral print kimono coat over lace dress, fuzzy sandals, black backpacks, earrings and sunglasses. Harajuku girl wearing a bright colorful and fun look with Sugar Daddy Candy Shirt, Life Savers, a plush bear, and braids hairstyle.